I’m yet to meet anyone who wants to be harassed by a mosquito. I’m also yet to meet anyone who wants to smell like bug spray. Luckily, there is something that helps with both of these problems. 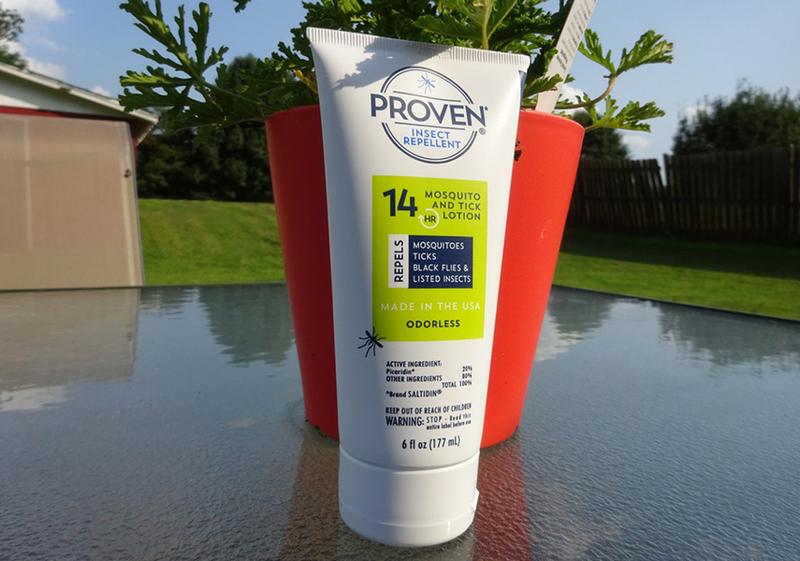 ‘Proven’ now makes an odorless 14 hour lotion designed to deter a wide variety of insects, without also deterring people. They sent me over some to test, and I’ve been pleasantly surprised. It’s pretty straightforward as far as products goes. It relies on Saltidin (picaridin) as a repellent, but unlike other sprays and lotions that have a very strong scent, this one seems to be barely detectable at all. I’m not exactly sure how they pulled that off, but it applies easily and is completely invisible. It also holds up well under sunny, sweaty conditions. It’s formulated with aloe for a little moisturizing boost, which I found nice, but it doesn’t come across as greasy like some others I’ve tried. It does do a decent job of softening the skin, although I wouldn’t use it as a fully body solution (wrist and ankles is how I tested it and also how I recommend using it). It’s non-toxic, but still works against mosquitoes, ticks, gnats, flies and more. It’s also DEET free, so it won’t dissolve nylons or other backpacking gear. I definitely recommend the lotion as it seems like last for several hours, but it does also come in a spray format. There is also a lightly scented versions if that’s your thing (not my thing), but I’m yet to try that one. Overall, it works, it doesn’t stink, and doesn’t make me feel all slimy when I wear it. It’s priced pretty well too, at between $8 and $12 depending on the size and format, which is pretty standard. I want to extend a huge thanks to Proven for providing this product for review. We couldn’t do it without their help. Our full disclosure can be found here.